The choice between buying a used electric guitar against buying new is a personal taste. Here is a simple guide for those who prefer the former. This article assumes that you already know the guitar model that you want to buy. Some Japanese guitars (MIJ) from the eighties are good replicas of Fender and Gibson models. Lawsuit-era guitars, as they are commonly called, look like the real thing from a distance. They have very good workmanship and a pickup upgrade can give you a killer guitar at a lower cost. A word of caution: After-market hardware made for US-made guitars may not fit MIJ guitars. Check the holes’ diameter and other dimensions before buying. In addition, not all guitars that come from Japan are made in Japan. The price of your brand new electric guitar goes down as soon as you leave the store. Used guitar prices are more stable; there is a chance that you can sell them at the same price later. Some guitarists buy and sell guitars so they can try different models every few months. Dings, small chips, and scratches are normal on used guitars. For some guitarists, playability and tone are more important than cosmetics. Some even prefer a natural relic. However, avoid guitars with cracks, as these may cost more to repair. #1: Get the exact model number and year of manufacture. Posted specifications should match the published specs for guitars models manufactured on that year. Some old MIJ guitars also have catalogs available on the Internet. #2: Get clear pictures of the front, back, sides, neck, and headstock. I recently saw an ad for a guitar model, but the pictures do not match the ones in the manufacturer’s website. It turns out that he was selling a different model; his posted specifications are incorrect. Pictures can reveal guitar the extent of chips and scratches so it is important that you get them. They can also show if the guitar is legit. Consult the forums if something does not look right in the picture. #3: Ask what have been changed. Knowing the parts that were changed will allow you to determine if the pricing is fair. For upgraded pickups, ask for pictures of identifying marks for confirmation. #4: Compare the price with similar items for sale. There should be a valid reason for significant discrepancies over the average market price. If it is due to the cost of an after-market pickup that you do not really want, try negotiating for the guitar without pickups. In general, upgraded parts should not significantly increase the selling price and these should be at the seller’s expense. Note that prices depend on the market and are dictated by both buyer demand and seller needs. You should get better pricing if the seller is on a rush to sell. Likewise, the seller may offer discounts if the guitar has been posted for a few months already. #5: Get the reason for selling (RFS) and ask for known issues. Sometimes, knowing the real reason can help you decide if the guitar for sale is worth the price. Consider the cost of repair in your valuation if the stated issues will require a trip to the luthier. #6: Take your time, but check regularly. The best deals are made when you are not in a hurry to buy. Buying the first guitar you see will not allow you to feel the market. However, you should act fast if you believe that you saw a very good deal. Once the guitar’s looks and specs pass your scrutiny, it is time to check it personally for possible purchase. Here are some things to remember. #1: Set the meeting place. Meeting a stranger in a public place is preferred if you are carrying a large amount of cash. However, it may be difficult to listen intently to the guitar in a noisy surrounding. It also prevents you from using your amp. It is best to meet at the seller’s place so you can really listen to the guitar. Bring along a friend. 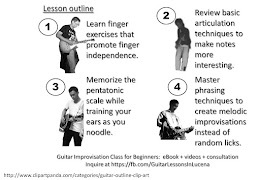 If you are new to guitars, ask a guitarist to help you. #2: Be there on time. You are hoping to get a good deal. Do not start the negotiation by making the seller wait an hour. #3: Bring a guitar tuner or an equivalent app. This will allow you to check the intonation of the guitar. Bring a battery-powered amp if meeting in a public place. A headphone amp will suffice. Bring your amp if you are meeting at the seller’s place. This will allow you to hear if the guitar jives with your amp. #4: Check the physical condition of the guitar. Look for cracks, especially near the neck or headstock. Watch out for bowed necks. Check if the action suits your playing style. Test for dead frets or buzzing. You do not want to spend much on repair. #5: Play the guitar on clean settings. Listening to the guitar on clean tone will let you hear it better. Check the knobs for scratchy sounds. Test the switches and output jack. Once satisfied, you can then play it cranked. I believe that if you like the tone, you will know it in the first few minutes. A guitar that does not sound good in the first few minutes will not magically sound better after an hour. #6: Negotiate the final price based on your physical and musical impression of the guitar. Issues found that were previously undeclared can be used to ask for additional discounts. The more issues you find, the more it will cost you to have it fixed. Close the deal as soon as the seller agrees to your price.